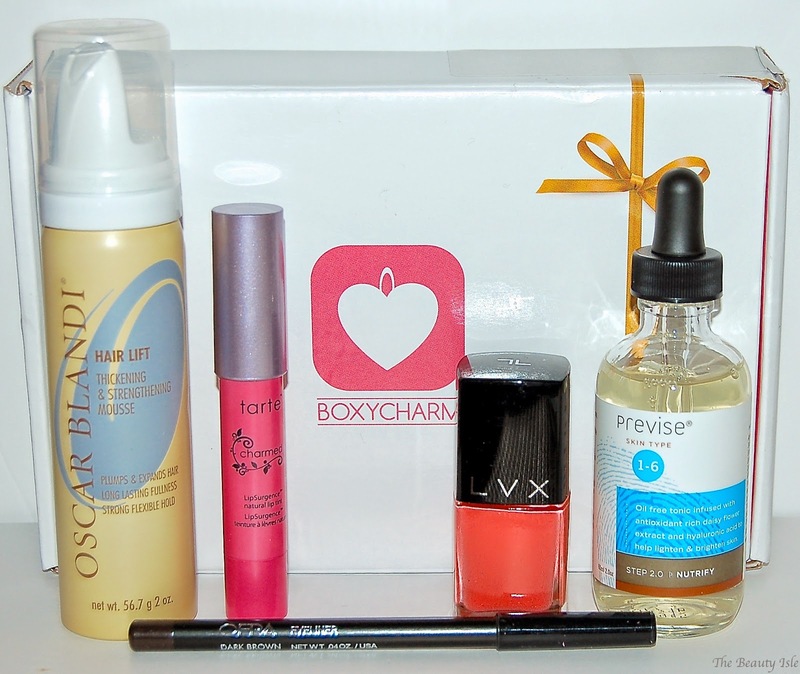 It's the time of month in which we receive our subscription beauty boxes. Seriously, all the photos on Instagram and YouTube videos are of beauty boxes! Today I'll be talking about my favorite, Boxycharm! 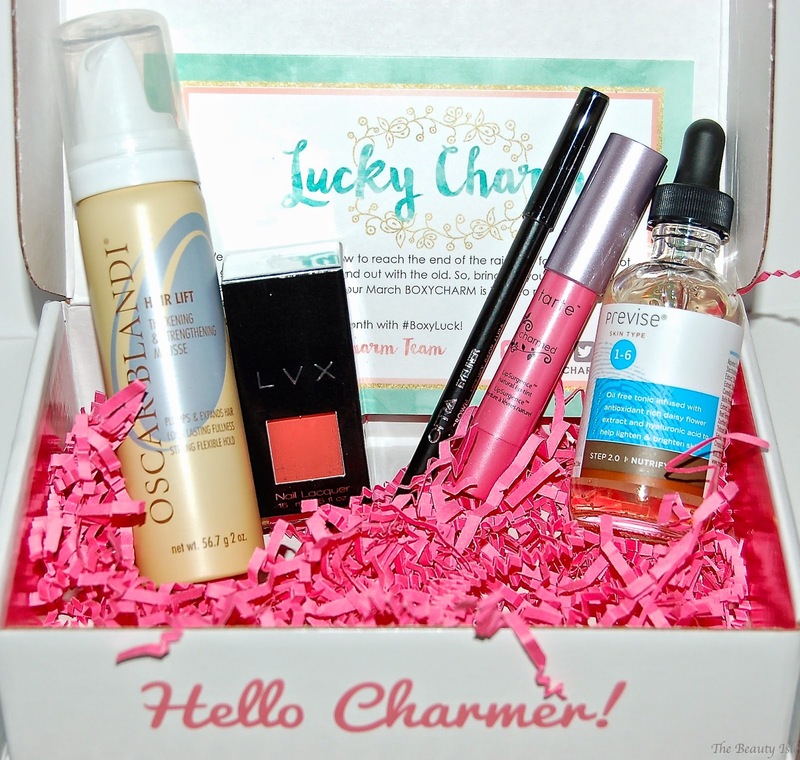 Boxycharm is a monthly beauty subscription box that features mainly cosmetics but also includes nail, hair, and skin products. Each box includes high end and/or affordable brands that are full size or deluxe sample sizes. I haven't used hair mousse since I was a teenager but this sounds promising and I've also heard great things about Oscar Blandi. I will use this when I curl my hair for big voluminous curls/waves. This is a nice dark brown eyeliner. It's not the creamiest eyeliner I own but it's decent. 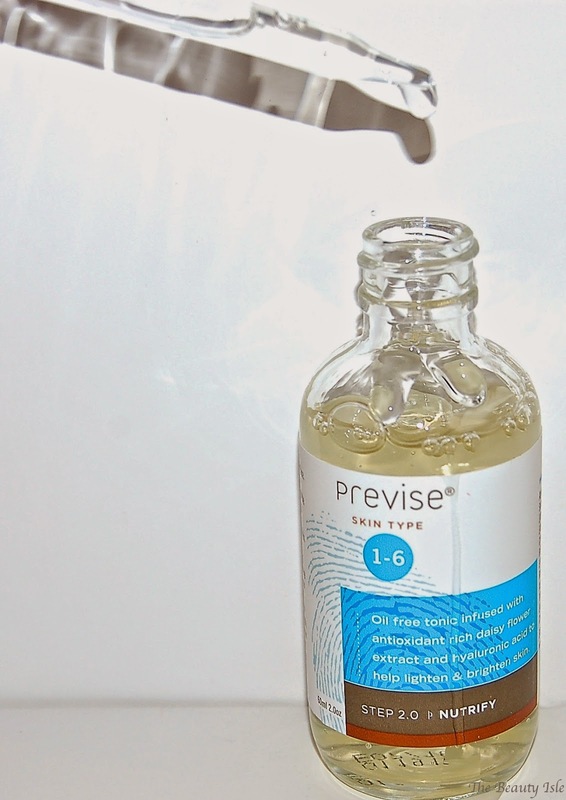 This skin tonic (it feels like a light serum) is supposed to brighten and lighten the skin. I love skin brightening products so I'll definitely give this a try. LVX nail polish is a long lasting polish with a gel-like finish. This is such a pretty feminine coral/pink shade. I can't wait to wear this once spring hits here in Boston! The March Boxycharm box was another great one! I'm most excited about the Tarte Lip Tint, the Previse skin brightener, and the LVX nail polish. Each Boxycharm Box costs $21, shipping is free, and you can cancel your subscription at any time. As you can see, I received 4 full size items and the travel size of the Oscar Blandi hair mousse. The retail value of this box is $112! That's 5 times the cost of the box! *Disclaimer: I received this product for review. All statements are 100% honest and my own.